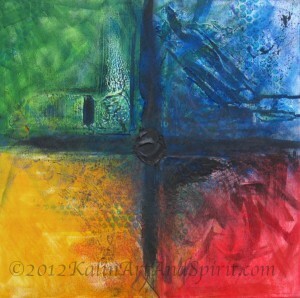 The 4 colors represent the 4 elements of green; earth, blue; water, red; fire, and yellow; air. The black lines represent Spirit which bind all elements together. Posted in by kalin on August 15th, 2012 at 10:05 pm.